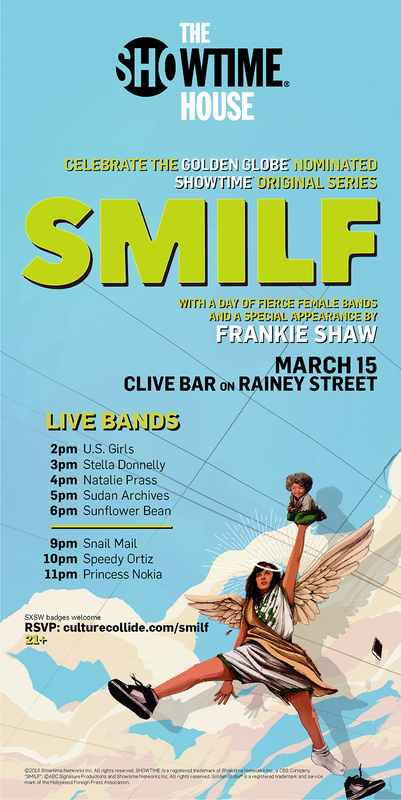 Showtime is throwing a party to celebrate their Golden Globe-nominated series “SMILF”, pairing with Collide as part of Collide on Rainey for SXSW 2018! Taking place at the Showtime House (aka Clive Bar), the party brings a lineup of bands featuring strong females like Natalie Prass, self-taught violinist/vocalist Sudan Archives, Sunflower Bean, New York firebrand Princess Nokia, and many more! 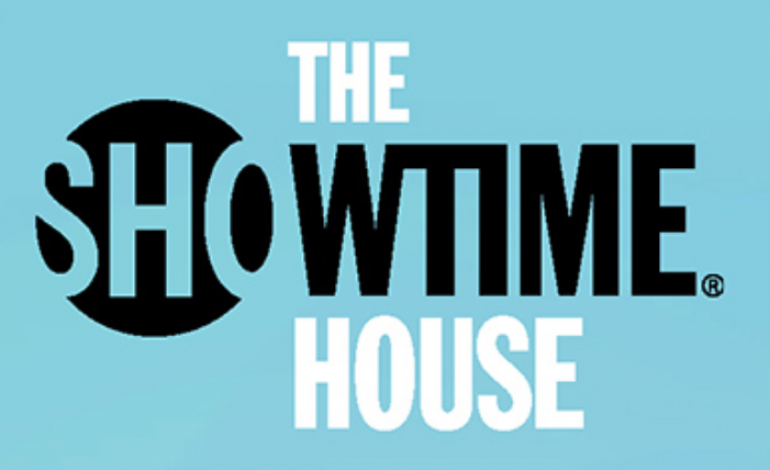 Showtime is also bringing in the show’s star, writer, creator, and director Frankie Shaw for a special appearance – fans of the show and good music won’t want to miss this. The day event is free with RSVP, read on for full event details and the link to RSVP. Hop over to culturecollide.com to RSVP; please note the event is 21+ only. The day show runs from 2pm-7pm with shows on the hour, featuring U.S. Girls, Stella Donnelly, Natalie Prass, Sudan Archives, and Sunflower Bean in that order. If you can attend the night show, you’ll catch Snail Mail, Speedy Ortiz, and Princess Nokia from 9pm-midnight, once again with shows on the hour. Rainey Street is already one of the most popular destinations for events and foot traffic during SXSW, if you want to be sure you get in show up early!